But for the PS Classic, they literally just have to sign on the dotted line, be given money by Sony, and let them use the ROM. This is mostly true, but it doesn't explain why the Wii/WiiU didn't have all NES/SNES/N64 games. If it was easy as signing a dotted line then every game would be available everywhere. Because they already have PS1 Classic games for sale all over PSN, I guess? They already have a base deal in place. Ah that's true. And still painful that none of them work on the PS4. The PS1 games were easy because the PS3 had a built-in hardware emulator. All you had to do was just plop the game data in there and you're done. Wii/Wii U emulation was software-based, and took a little extra work to get games up and running. That's enough for many companies to go "nah, it's not worth it." Um, I thought that was only the first gen PS3s. I bought one of the "cheaper" ones when GTA4 came out and I'm pretty sure it has no PS1 emulation. All PS3 consoles can play PS1 games but only early versions used hardware emulation. Whoops, I meant no hardware PS1 emulation. Oh doy, I completely forgot about it. My arcade1up rampage cabinet should be here tomorrow but Walmart preorder has zero movement on it. They did same with NES classic and I ended up cancelling. Ouch. Best of luck with that Tim. Does this count? I think it counts. Analogue, the creators of the well-received Nt Mini and Super Nt--hardware platforms that pay existing NES and Super NES cartridges with the original controllers, but output video in 1080p with a lot of refinement--are giving the Sega Genesis/Mega Drive the same treatment with the Mega Sg. Notably, the hardware potentially supports a much wider array of games than the previous two entries due to their intent to support expansion accessories like the Sega CD, Mark III, Game Gear cartridges, etc. 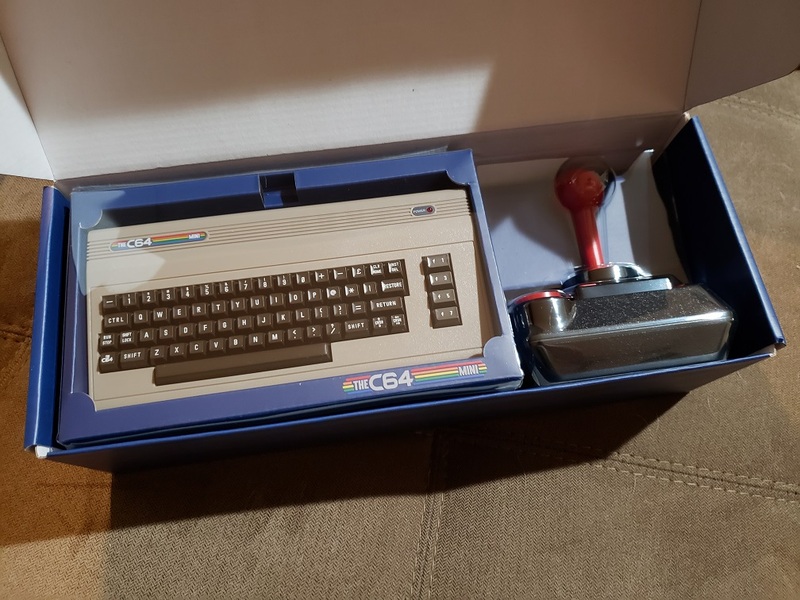 I got my C64 Mini but haven't connected it yet. Just got word that my NeoGeo mini has shipped. Now I just need time to connect them up and try out. 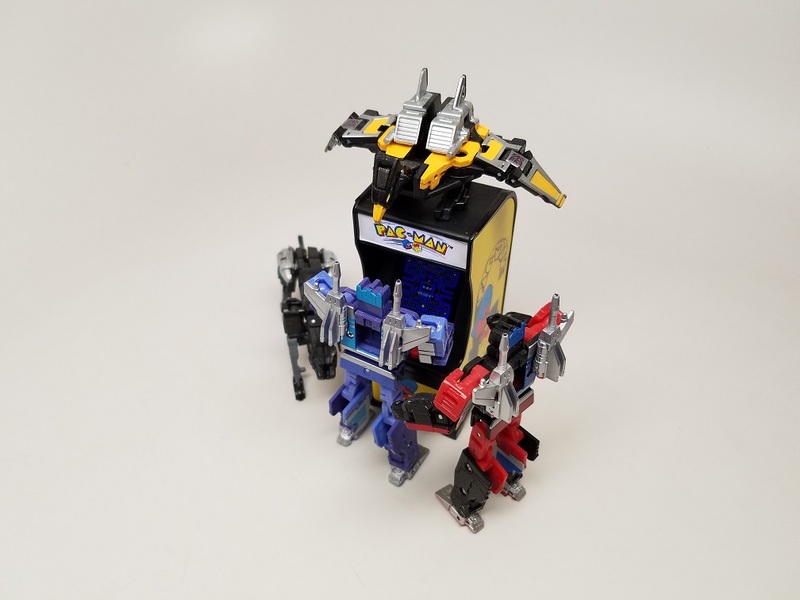 I was liking around to see if there was any info on the hardware in the arcade 1up machines, didn't find any, but found articles about launch problems. I guess theu had to delay their launch because of some fault issues. Saw pictures of boxes of replacement parts coming with the units at wal mart. It's not all doom and gloomy though. People seem to be loving them and are dual booting pi machines to run with the arcade cabinet. It's out of my price range but they look fun. 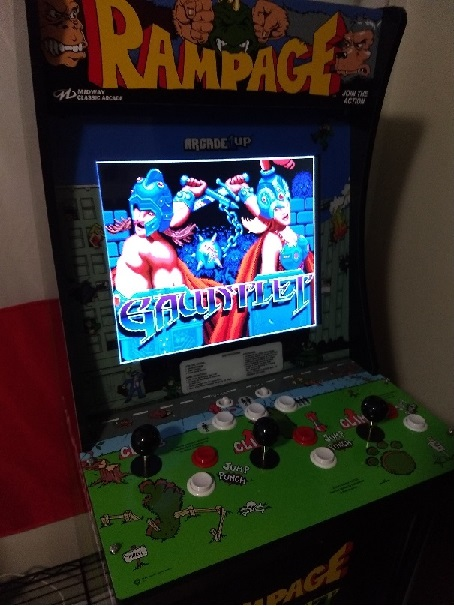 Not sure how you're supposed to put 3 people around the tiny thing to play rampage or gauntlet though . What region is your c64 mini, and when you do hook it up can you confirm a couple of games? I’ve heard some different things about the included games in different countries and I’m hesitant to buy one unless Jumpman and Boulder Dash are both on the US model. Unless they include Turrican built-in on this one as well, it doesn't really count as plug 'n play (it doesn't even come with any controllers). It's a better fit for the retro gaming thread I linked in the OP. What has me most curious, though, is the Game Gear adapter and whether it works on the original hardware. Uh, I think the US model. Is there a way to check it without opening it up? I'll hook it up and let you know if those games are there. Personally I'm curious to find out which C-64 games hold up after all this time (if any). Walmart fucked up again, but I was able to just walk into mine and get it. Man how are they so bad at pre-orders. They are weird with pre-orders. Some systems and toys I have no problem. Then other times I swear their coding is done on an Apple ][e.
Glad to hear you finally got your system. Next is hearing how awesome it is. I'm kind of surprised we haven't heard any news about the Playstation Classic's games list. A little under two months to go, though. Presumably the US model will have an ESRB rating on the box and not a PEGI rating. If it doesn’t have either I am willing to assume that you got the model for wherever you live. Thanks for being willing to check on that! 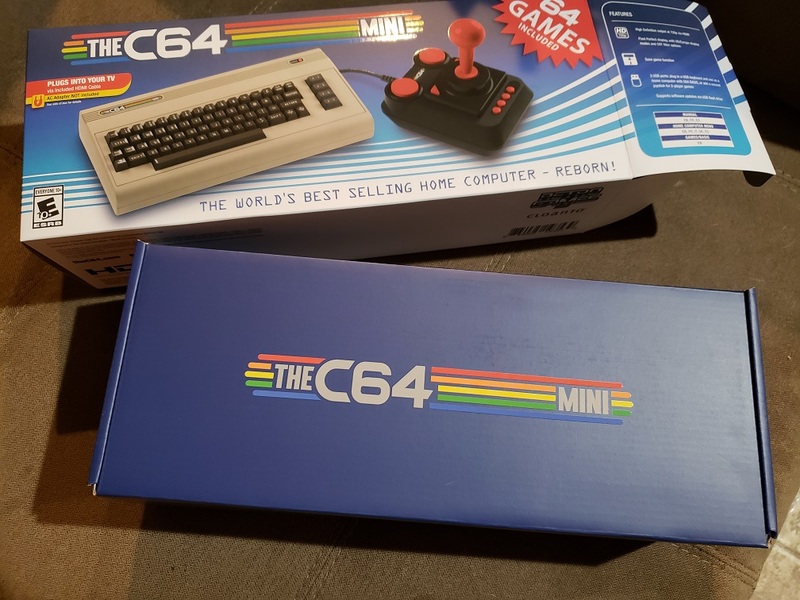 There seems to be zero-to-negative hype about the c64 mini so you’re the first person I’ve seen say they’d actually bought one. It actually worries me a little because it's almost like they are afraid if they show all the games, no one will pre-order. It just doesn't make sense that they haven't just given us the games on it. Maybe they're hoping to dribble out the titles a few at a time to keep up interest? Just dumping the games list didn't hurt the NES/SNES. Then again, I'm still on the fence that I want to keep my pre-order because the PS1...yikes...very few of the games aged well at all. If it was a PS1 RPG only machine I would be super down for it. I was speculating they were still having issues with a few of the licenses, but that seemed unrealistic. The above would be worse though. When Sony only announced 25% of the list as opposed to Nintendo's 100%, I suspected they didn't have all their ducks in a row before the reveal of the device. Fred Meyer is selling the Data East 8-bit Classic handheld. It boasts over 300 games and Data East classics! What this translates to is 8 old Data East NES games and 300 crappy emulations and homebrew titles. The best part? It takes 4 AA batteries to run. Yeah, no thanks. Fred Meyer, Target, and Walmart all seem to be really choked with crappy single-game mini arcades this year. I could kind of see the point of them if they did a better job of resembling the original cabinets, but they are thoroughly meh. Ta-da! Now I just want to get some Rye or Cognac, have some friends over, and game. I'm so down for multiplayer Rampage and Gauntlet. Talk about childhood memory overdose. Edit - Hold up, does the Rom in the cabinet not play the iconic Gauntlet theme? I haven't heard it on any of the videos I've seen. Only 3 games and no 4-player option killed those arcade cabinets for me. Nope, not during the title screen. It does play between levels though! Nah, that's just...nah. Has to be playing on the intro. It's necessary. It's wrong, damn it. Even if they did have 4 sticks, I'm not sure those cabinets could comfortably support 4 toddlers playing on them, let alone adults. Not that I think it's a good product, but the guy said it takes 4 AAA batteries, and it sounds like it has a micro USB power input as well. Doesn't do much for you if you're on the go, but just saying. Well, I took it out and booted it up just for you. Yep, mine is the US version (as I was hoping since I bought it from Walmart) and it does indeed have both Boulder Dash and Jumpman on it. Never played either and the cramped position I was playing it had me pressing the menu button during Jumpman. I'm sure it would work better if I was not cramped for space and have a small USB cable to power it (didn't use the one that came with it). But the joystick was responsive (at least as far as I remember old joysticks being responsive) and was really fun. I forgot to take a photo of the games, but I do have a semi unboxing photos. This is why those crappy single-game mini arcades exist! Man, what I would give to be close enough to drive and visit you right now. I'd even buy and bring over the Cognac. No need. My place is pretty much a café, bar, and now arcade! Thanks for double checking on the c64 mini! I will need to haunt our local Walmarts to pick one up now. I like that mini cabinet better than some others, it actually has the proper side art and marquee. Not all of them go to that level of detail.